New Year's list of affordable Talk N Text promo for all their prepaid SIM users. As this network goes bigger they offers variety of call, text and internet promos to their prepaid subscribers. To those who are not aware on the latest and hottest pricing of TNT we bring you the list and mechanics on how to register or avail their low rate promotions. Check out and subscribe to your favorite calling, unli-texting and internet surfing update for 2018. Take note: For as low as 10 pesos you can already enjoy their unlitxt promo by subscribing to UNLITXT 10. You can also extend the validity by registering to higher unlimited text via UNLITXT150 that gives you 30 days validity. You can also choose validity period options from 1 day, week, month and even more when you avail to TNT EXTEND a promo offer. *** Smart users check Smart Unlimited Call and Text to all networks Promo. To those who love to text their friends and love ones even if they are on other networks, Talk N Text also gives you affordable options and denominations when you want to register to this kind of promo. 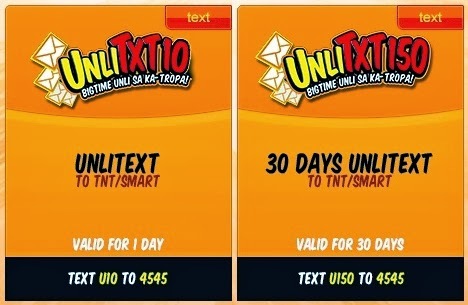 Let’s start with UNLITXT2ALL20 with 2 days validity to UNLITXT2ALL300 which also give you 1 month unli all net text. 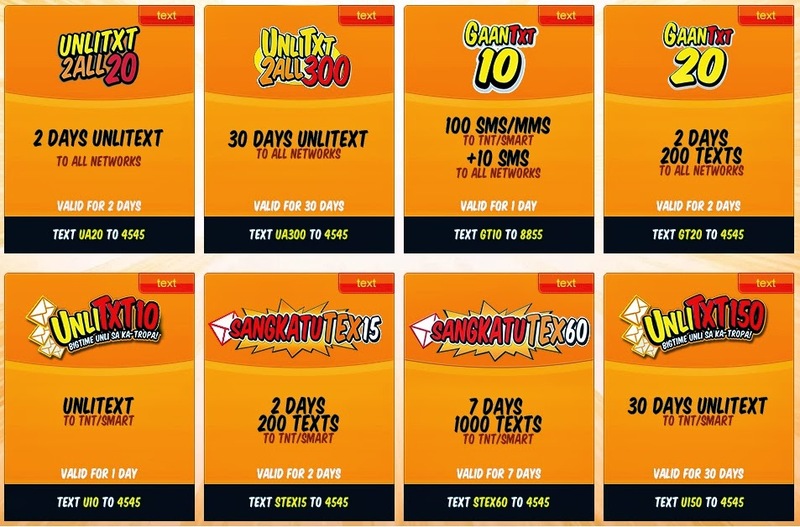 Here’s more from their text promo, the very budget friendly promo called GAANTXT 10 that gives you 100 SMS text to same network and 10 SMS to all networks. For more and added package you can avail their GAANTXT 20, with longer validity and times 2 text messages. Don’t forget to register also with SANGKATUTEX promo, price starts at 15 pesos that lets you enjoy 200 text for 2 days. Their SANGKATUTEX60 gives you 1 week texting of the allotted 100 SMS to Smart and TNT. Call promos are also offered by TNT, to those who want to try this network service you can register to SANGAKATUTOK15 and SANGKATUTOK30. The two promos let you enjoy limited number of minutes call starting from 2 days validity up to 4. They do have unlimited call promo under combo category like UNLITALKPLUS 20 and KATOK AT TEX25 promo. Both promos give you unlimited call and unli text to Smart and Talk N Text subscribers. Texting and calling is never ending when you don’t have a limit to text and call to other network SIM users. 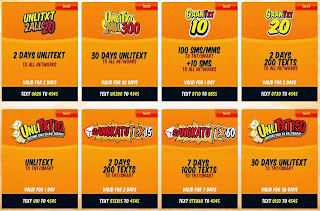 TNT offers you their all net texts promo with UNLITXTALL, TRINET 300, GAAN UNLITXTPLUS and GAAN ALL IN ONE. Stay always connected not just via text and call with Talk n Text unlimited browsing and social internet packages. Let’s start with their Facebook promo that includes paid browsing via PISOFB, FB5 and free Facebook Mobile App. See TNT 2017 offers updated Data, Internet and App Bundles Promo. You can also register to their affordable internet bundle like YahooUnli, Always ON and Unlisurf promo. They do have a free Facebook and Twitter via SmartNet app, just install and your good to browse with extra charges. Talk N Text Unlisurf Promo – To register see TNT Unli Internet. To complete this list you can choose which promo fits to your needs by registering to 3pIDD, IDD call promo to selected countries and KAMUSTEXT Promo that gives you 8 international texts for only 20 pesos. All above promos validity and availability are subject to change without notice, you can visit their TNT website and social pages for updates and inquiry. Plz!. make the UA300 not only unlimited text to all network for 30 days, but plz add a free call for smart and talk n text subscriber...tnx! unli call good for 30 days meron b? may unli call for all networks po ba na good for one month? saka pag nakareg ka sa unli call..pwede ka po bang magreg din sa unli text??? I support this. Kindly do this? Plz!. make the UA300 not only unlimited text to all network for 30 days, but plz add a free call for smart and talk n text subscriber...tnx! same here..Plz!. make the UA300 not only unlimited text to all network for 30 days, but plz add a free call for smart and talk n text subscriber...tnx! plzz add po kaau sa UA300 nang unli call?? plz add po kau sa UA300 unli call..
TRINET300 pls. add text to other net. its already very nice promo but kulang pa, sana parang tulad nung sa '' Sun 300 promo '' or better pa . more than 7 years na ako gumagamit ng tnt. How come na naging free fb ang smartnet? you still need internet to browse on m.smartnet.ph to sign in to your facebook the fvck. I also support your promo, ako din po more than 10 years na talk and text subsciber. I like yung UNLI TRINET 300 niyo, owkay na pero mas maganda sana kung may call kahit for smart and talk and text lang.Pleassssseeee? mega250 ms mura kesa sa ua300... akalain mo un??? ahaha.. laos tnt! unli internet for 1 month ng TNT.... meron ba ? Bat di kopo mgamit data ko ehh nka register nman ako za data promo? May 30 days ka ng UNLI Trinet texts at 300 mins of Trinet calls, may 30MB of internet ka pa! GAWIN NYO NALANG KAHIT 1,000 TEXT TO ALL NET PARA NAGAGAMIT"
SANA MAY UNLI CALL UNLI TEXT AT UNLI INTERNET MAGKAKASAMA NA GOOD FOR 1 MONTH KAHIT MEDYO MAY KAMAHALAN. Nd organized yung promos...walang fairness...dapat mas matagal yung validity at mura ang limited text kesa unlimited text...please! Ayusin nyu po sana to...dapat limited text pero matagal ang expiration...try to equate it please! UT20 wala? Laging gamit ko 3 days unli txt to smart at tnt tapos 100mins calls. May mga hidden promos talaga sila... tsk tsk..
pwd pong may unli call and text to all network syempre include po ung globe sana. kahit medyo mataas ung cost pero basta good for a month.